Trying to save space on my desk. Never use the num pad on my keyboard. Anyone using a single hand keypad or short keyboard that they're happy with? Razer Orbweaver or Tartarus are great. As is a Logitech G13, if you can find one. You can find a decent Koolertron one-handed keyboard on Amazon, along with plenty of cheap trashy keypads. I'm left-handed and can't use any of them (G13 without a usable thumbstick is meh), so I use half of an Ergodox EZ kb for Xim gaming. Previously I used a Z-Board Fang. If I was a righty, I'd go with an Orbweaver. Thanks. Checked out the Orbweaver but for the cost I expected the reviews to be more solid. Issue with durability seem to be a common thread. 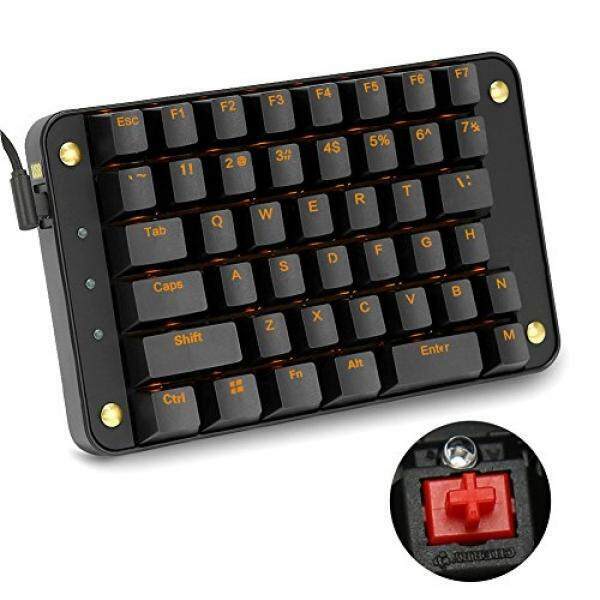 Wish the gaming keypad market was bigger, like you said there are a lot of cheap/trashy ones out there. Thanks, always been a left keyboard player so this is a good fit. Wish I could find a solid keypad that had some innovative key/button options but really nothing there. I got one by some company called Sades. It was about $25USD and quite clicky and satisfying to use. Alas, i switched to using the PDP One-Handed joystick. I looked at the Koolertron, but wasn't sure what it offered for the high price point. The Sades got the job done and kept me under budget. Alas, i switched to using the PDP One-Handed joystick. Just curious, how do you like the PDP joystick? I could never understand how a movement joystick can replace all the keys I use on my keyboard but conceptually it seems like an intuitive controller option. I use a "Delux T9". They go for about $30, and can take a bit of a beating. The keys are starting to wear away, but the buttons still work and no issues with rollover. I got one of those ages ago but never used it due to the fact that it didn't have a return key, which I wanted. Shame as for the money it wasn't bad. Sort of, ETA is May 2019. Although if the full keyboard shows up now with Aimpad it may be worth it and invest in the keypad later.